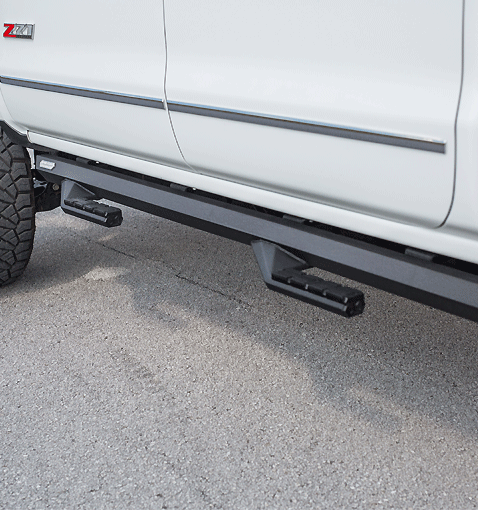 American made Matte Black Cab Length and Sidearm Steps from Iron Cross Automotive. 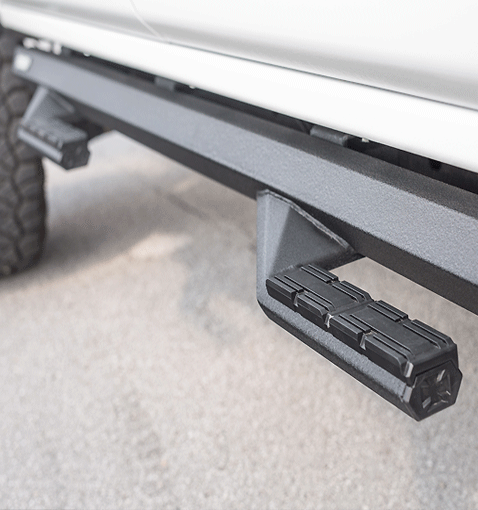 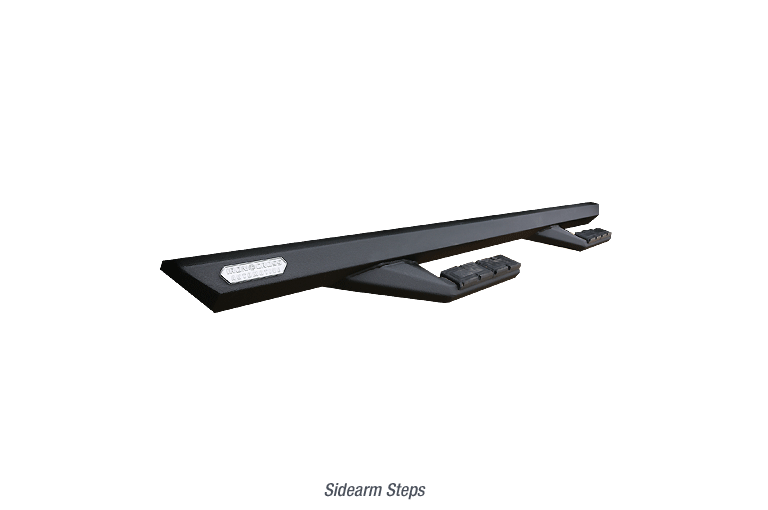 The new Sidearm Step from Iron Cross Automotive offers a unique and ground breaking design, which will complement the look of your vehicle whether it is stock or completely custom. 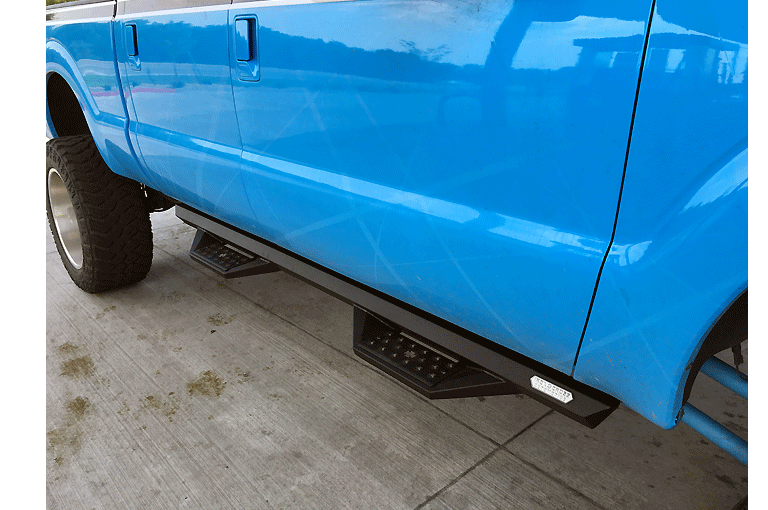 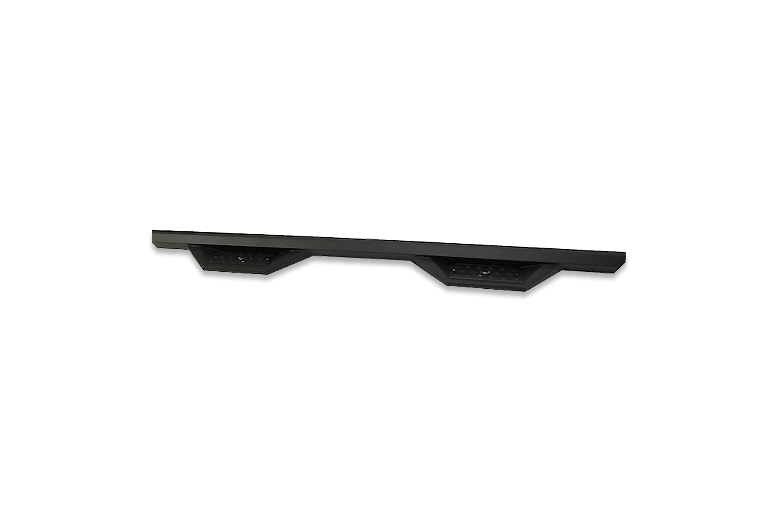 Adding function to form these steps provide the most ergonomic step up of anything on the market today.